People believe that there won’t be stars in the morning because they are not visible even though they are present in the morning. 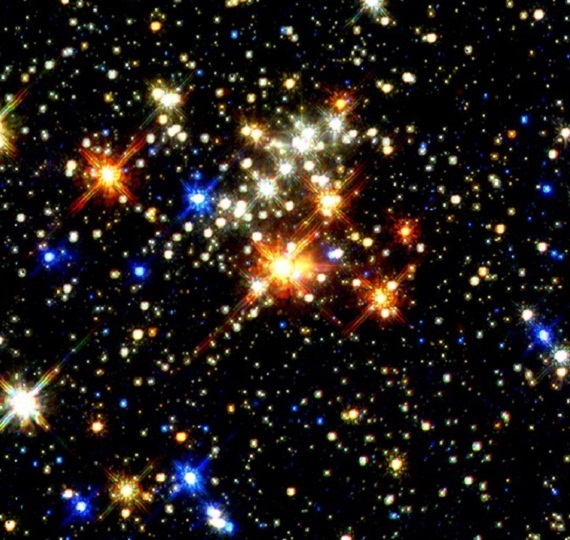 Stars are self illuminated and they glow with light in the day and night. We can’t see them in the morning because of the sunlight and the light on the earth during day. Sunlight spreads like a blanket and we can’t see the stars during the day due to water vapor, dust, gases and other particles in the atmosphere. Stars are visible during the night as there is no sunlight and they glow themselves with little light. On no moon day, we can clearly see the stars as they are visible with their light. We can see the stars in the morning only on solar eclipse day during the complete solar eclipse. The stars near the sun are visible.